Why are companies so secretive about salaries? | Save. Spend. Splurge. Home › Career › Why are companies so secretive about salaries? Why are companies so secretive about salaries? I really don’t get why companies are so secretive about salaries. You’re offering work at your company, for an amount. I am interested in said work, for an amount. So if I ask straight up: What’s the amount you are offering?, I am expecting an answer, even a ballpark. You are obviously NOT going to pay over a certain amount, and before talks go any farther, I’d like to know WHAT that amount is to see if it meets MY minimum salary amount. I’m obviously not going to work for free, so it is in your best interest to entice me with a salary so that I become interested in trading my brain power to work for your company’s money. I am smart enough to know that just because you offer me a certain figure it doesn’t mean I’ll get it. …. just as you should be smart enough to understand that I may (probably will) ask for more money than what you have initially offered. Bottom line: You have a budget to hire someone. I want to know what it is. SO WHY ARE WE WASTING TIME? Maybe I’m too direct / transparent for all of this dancing-around-an-amount crap. ← What made me decide to give up 90% of my things, live in a hotel and travel? 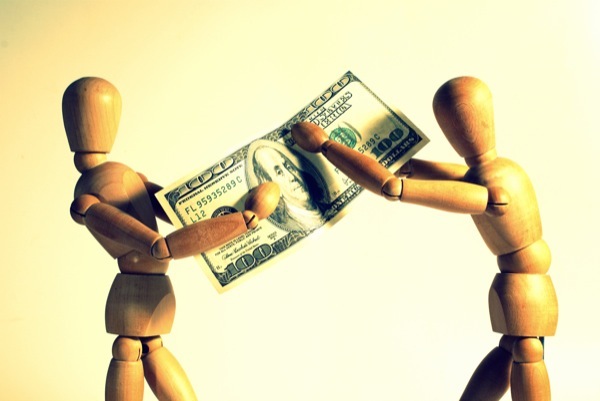 Negotiation skills are never more critical than when it comes to compensation. This is, by far, the most important negotiation a working person will ever engage in, because almost every other form of compensation is based off of salary. Bonus, profit sharing, retirement benefits, etc. And it’s not just the current job you’re negotiating, but the compensation trajectory for the rest of your career. On the other hand, it’s management’s duty to minimize expenses to maximize profits for shareholders. If two candidates are otherwise equal, hiring the one who will work for less is pretty compelling from the employer’s standpoint. Negotiation is a dance. You always ask for more than you reasonably expect, so you can throw away something you don’t really want. The other side does the same. Until you either agree or part ways. When I’ve fielded calls from headhunters, etc., I won’t continue a conversation without knowing at least a range. I’m not interested in wasting anyone’s time – mine or theirs. I mean, if a person’s current compensation is $100k he or she simply will not accept a job that pays $60k. There’s no point continuing discussions when the parties are so far apart. It’s business, not personal. You can be firm and polite without burning bridges. I do that too. When I talk to brokers, I ask them: What’s the rate before we continue? I have once spent HOURS on a phone with a broker only to realize they were offering 50% of my regular rate. What’s the point? Why? It’s the Golden Rule of negotiation: He who speaks first loses. I guess. Just feels like a big dance back and forth when they should just say: We want to pay this, end of discussion. If they tell you the range, you’re going to push to hit the max. Therefore, if you name first, they might hit the lower end, or below, and it’s win win – you’re ‘happy’ and they saved coin. I get it, I do it in negotiations, I just don’t know why we play this stupid game. Just say what you want to pay and be done with it. Pay people fairly. They want to pay you the least you’ll accept. They want to know what that number is before revealing anything. 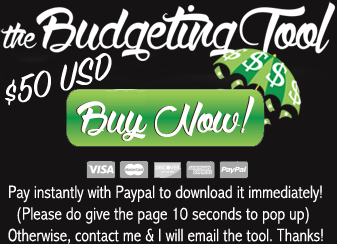 You want them to pay you the most they have in their budget, even if you’d do it for less. You want to know what their budget is before you tell them the least you’d do it for. Even if you know you won’t get the number they say they have budgeted, knowing the bounds helps you – not them. Annoying, yes. I get it though. As a consultant/freelancer, you must have this conversation frequently! Oh yeah. I fight about this all the time, I always overstate what I want, but I just don’t get it. Just PAY people what they’re worth as an average and put it out there. See, let’s say a position is $50,000 (average). Just say: We’ll pay $50,000. If I don’t want to take it for $50 and I want it for $60,000 I’ll say it. What is the big deal? I’m just going to get annoyed if I find out I am earning LESS than the average person in my area at the office ($50) if I asked for $40 and got it. I’d just be pissed off and annoyed. I am proud that you are SO direct about this! I hate those questions and hate being given the runaround to them. It is possible that they are told not to tell ANYONE what their budget is and then be ordered to go “as low as possible”. We all know they want the cheapest candidate possible. But if they want the best, they have to be ready to pay for the best. In the end, if we don’t get paid the fair wage, we are going to leave. What’s the point? Just pay the average. Don’t quibble and fight about the rate, I WILL FIND OUT sooner or later. That’s just how it is. Then either I am happy or resentful. Do you want a resentful employee working for you? Is it worth $10,000? You would get a higher productivity knowing that the salaries are FAIR. I can agree with your direct approach. Had I known what some positions offered, I would not have eben applied. The real issue here is that if they give us a salary of pay rate, they risk current employees saying “that’s more or less than I make for the same work!! !” It opens a nasty can of worms for companies who don’t pay fairly, especially when there are obvious gaps in pay for same or similar experience between genders. What I would like to avoid is resentment. I play the game and I offer the rate / salary first but I always add a premium so they can negotiate me down. I just would like to avoid that stupid game though. Why not just avoid all that resentment when you find out later what you should have earned?